Item #47057 : Original era manufacture. 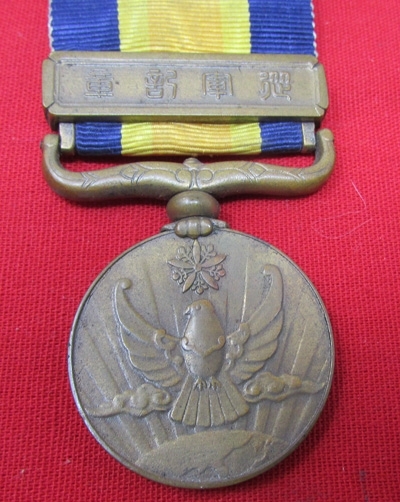 Medal which commemorates the battles between the Imperial Japanese Army and Red Army in Manchuria in 1939. 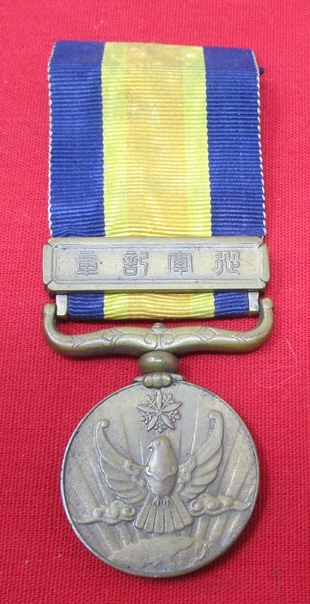 The battles resulted in a decisive defeat for Imperial Japan and marked the rising star of the Red Army commander Georgy Zhukov.The medal is complete except for the small metal hook on the reverse of the ribbon. 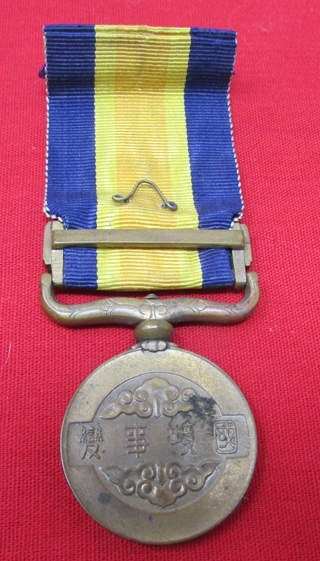 Original ribbon stained from age and wear.